Same as above but unit is air operated for no spark collection of fine material. 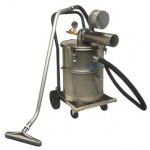 This air-operated Explosion Proof vacuum cleaner has a motor with no moving parts for collection of hazardous debris and liquids without sparking. 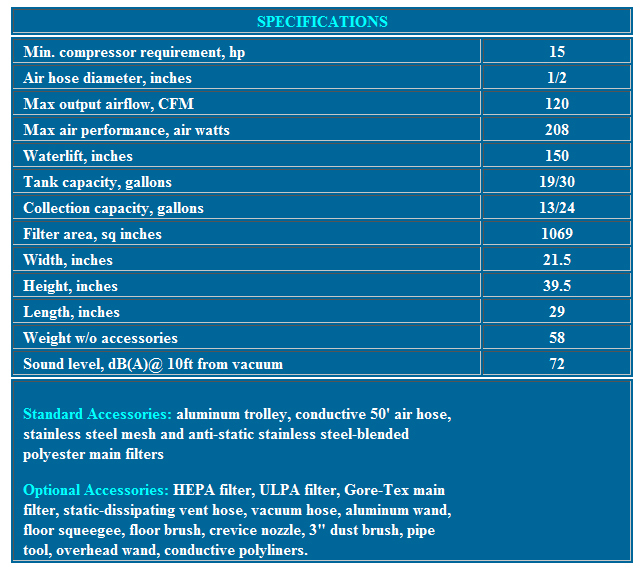 It can be used in Class I-Group D, and Class II Group F&G hazardous locations. Similar to the electric model, the vacuum cleaner can be equipped with various non-sparking, conductive accessories.